Fusion shorn - more spots! GLR Coyhaique is an appaloosa rose grey son of GLR Amelita, who was a Grey Female Color Champion at the AAA Futurity, and Synergy, also a mulitple champion, himself and sire of mulitple champion offspring.Coyhaique's luster and density and lock are outstanding and he has the big bone and wonderful conformation that we like to see in a breeding male. 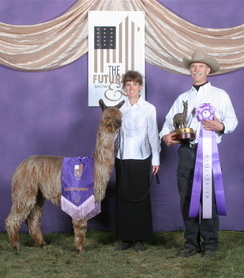 Coyhaique has two full siblings who are both mulitple grey color champions as well: GLR Kolaqua ( 2008 Mapaca and AOBA Nationals Grey Male Color Champion and the 2009 AOBA Nationals Grey Male Color Champion) and GLR Atacama (2009 AAA Futurity and Mapaca Grey Female Color Champion and the 2009 AOBA Nationals Reserve Grey Female Champion). We co-own Coyhaique with Page and Craig Nitterhouse of Shasta Springs Alpacas. His name comes from the town in Chile that is considered to be the capitol of Patagonia. 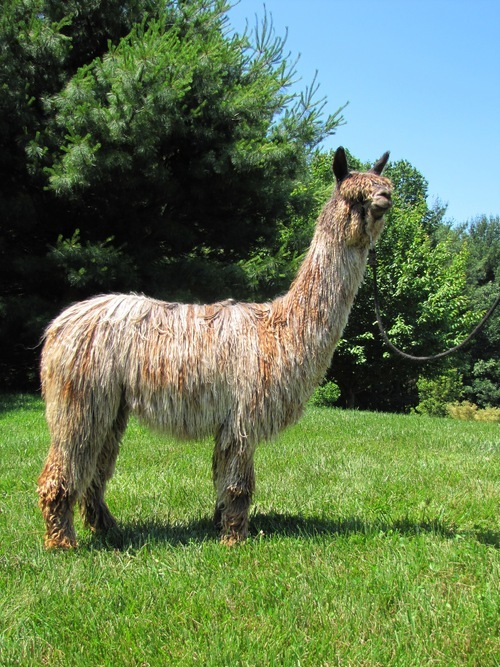 His first crop of cria were born in 2009 and he continues to produce award wining cria! 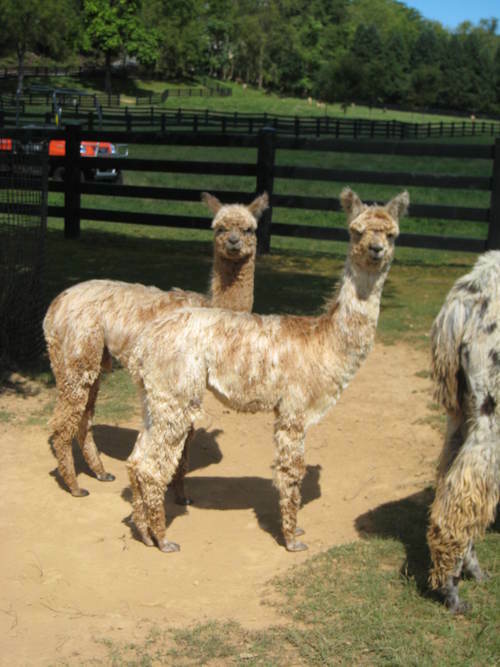 This appaloosa grey girl is the product of Peruvian Juan, the foundation herd sire for Alpaca Jack's Suri Farm and Rainbow Confetti, the daughter of grey 4Peruvian Magnifico know for producing wild colors and lots of appaloosas. She is completely colored with grey and fawn spots and is a sight to behold. She is a very strong, large dam who has healthy, large crias. We were excited to purchase this beautiful male from the well-respected grey suri breeding program at Shasta Springs Alpacas. Fusion is definitely "eye candy", and when you see him you will want to breed to him, too. He has a gentle nature, strong solid conformation, and exquisite appaloosa coloring. 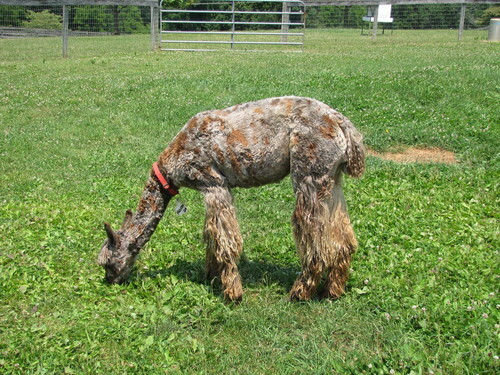 He continues to get darker and darker in coloration with each shearing like his sire, who is now a dark grey in color. He is a large, weighing in at 185 lbs. He was shorn at 1 year old, and his 1st fleece weighed 6 lbs. with a 3.4 lb blanket, and was 9" in length. It has been shown and won Reserve Champion Grey Suris at the 2012 Suri Network All Suri Fleece Show, the largest suri fleece show in the world! 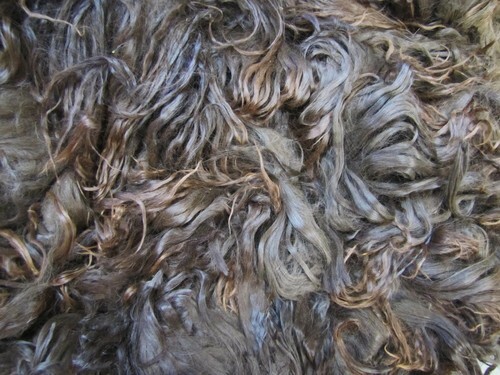 Diana Timmerman, AOA Fleece Judge for the Suri Network, commented that his "Fleece is showing good luster and softness for a grey." Fusion is wholly owned by Wild Rose Suri Ranch and is closed to outside breedings. Get his fabulous offspring with the purchase of a female bred to him! He produced appys from white, med brown, med fawn, harlequin grey, appaloosa, pinto, and light fawn. . . almost from every color! Contact Patti at 443-740-4240 for more information. 2X Halter & Fleece Champion! Beautiful Appy female by Fusion! WRSR Quintavius by Fusion, aka "Quinn"
Beautiful 1/2 Accoyo Spotted Appaloosa!